BRYAN EATON/Staff photo. 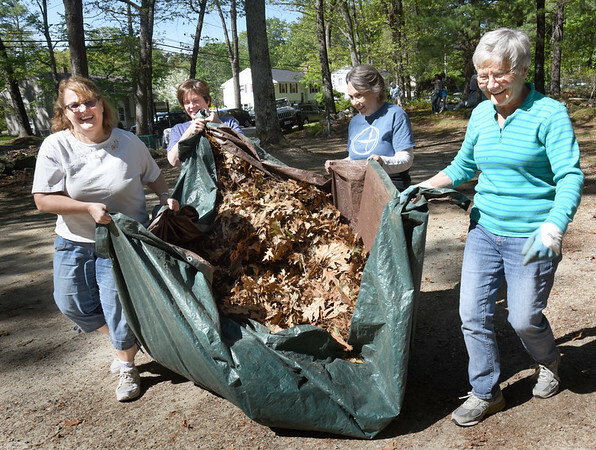 At least 50 mostly First Religious Society Unitarian Universalist Church members cleaned up Woodman Park in Newburyport. This was an effort to show the congregation's appreciation for the city giving money to help renovate the church and steeple. Moving years of accumulated oak leaves are, from left, Leslie Lawrence, Patricia O'Brien, Annie Maurer and chair of the parish board Barbara Garnis.